My fall decorating is not going quite as quickly as I had hoped. But I did manage to get my entry way done. Never mind that the rest of my house is decorated in “tornado meets trailer park” style, the entry way is nice and tidy, and looks like fall. 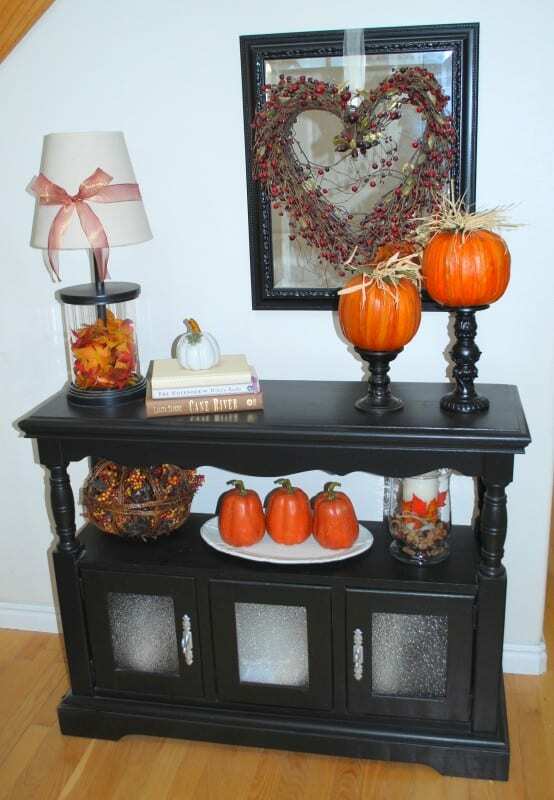 To see how other people are decorating for fall, check out the Virtual Tour at Tip Junkie.